FOXBORO, Mass. – Almost every second of the opening eight minutes of Sunday afternoon’s game was spent with Holliston in the attack. The Panthers pushed down the right side and spent the beginning of the game parked right in front of the Foxboro bench, but the Warriors did not break under the pressure and got through that spell without allowing a shot. 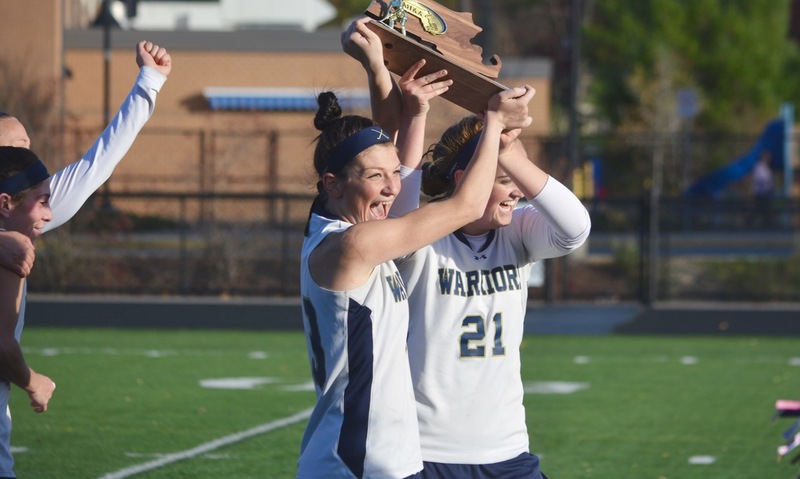 On Foxboro’s first sustained attack of the game in the 11th minute, the Warriors took the lead. 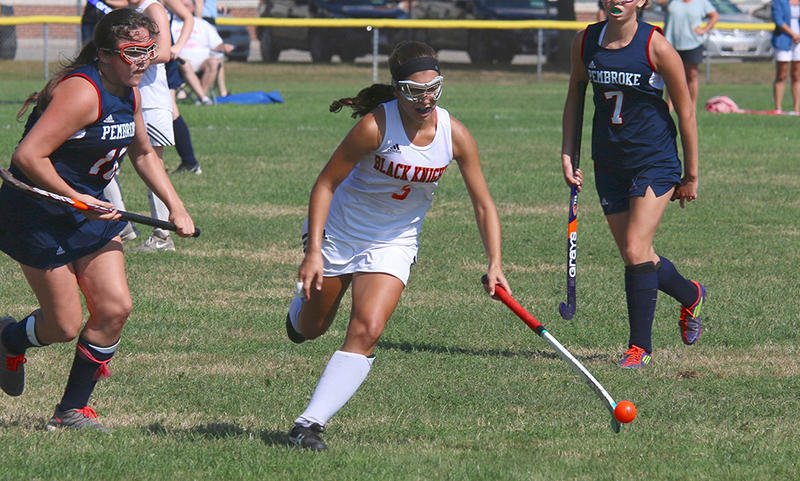 Junior Catherine Luciano corralled a loose ball in the middle of the attacking zone and fired a shot on goal that took a deflection before settling into the bottom corner. 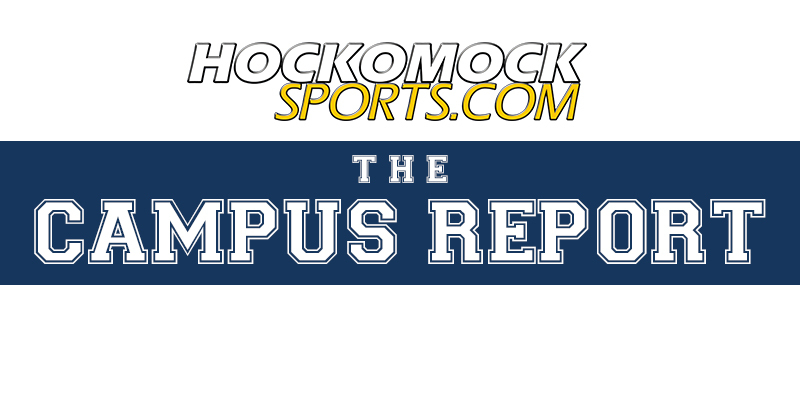 That goal would turn out to be the game-winner, as the Foxboro defense allowed only one shot on goal over 60 minutes and the Warriors pulled out a 1-0 win at Sam Berns Community Field. 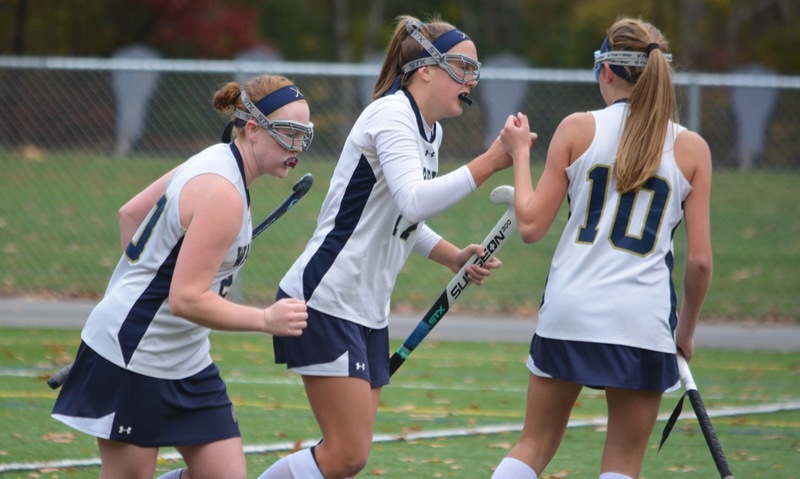 The victory propels second seeded Foxboro into the Div. 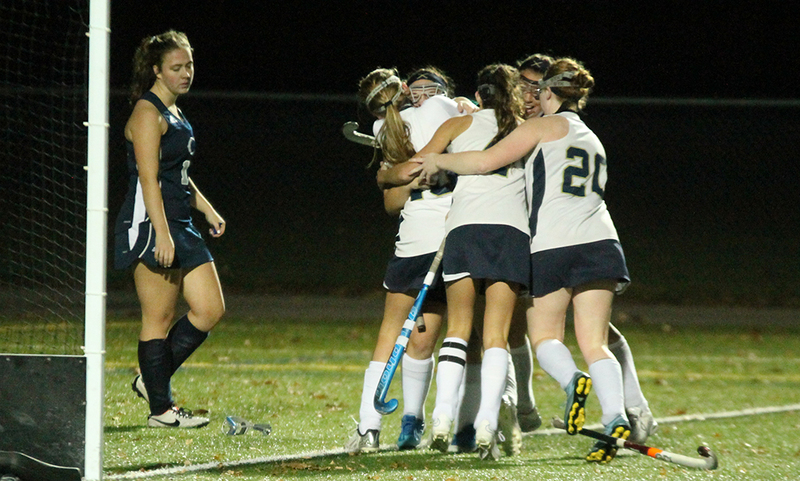 2 South semifinals for the first time “in a long time,” according to head coach Melissa Bordieri. The goal came against the run of play, but set the tone for the match, as the Warriors would absorb pressure for long periods of the game but without ever having Holliston truly threaten. When Foxboro broke, it created good scoring opportunities. Eight minutes after scoring the opener, Foxboro nearly doubled its advantage but sophomores Lily Daly and Sophia Dicenso both saw their shots kicked aside by the Holliston goalie. Dicenso had a second chance on the rebound but that shot skimmed the post and stayed out. Daly would have another chance in the 23rd minute but her off-hand effort went just wide of the near post. Dicenso had one last chance in the final minute off a feed from senior Meredith Cronin but again it went wide. The Warriors cleared off three corners in the opening half and did not allow the Panthers to get a shot on target. In fact, Foxboro goalie Kelli McCarthy was not forced into a save until the final 11 minutes. The strength of the Warriors throughout was in the midfield with the combination of Luciano, Jackie Brion, and Allison Curran forming a wall across the field that kept the Panthers pinned in their defensive zone for the majority of the second half. Emma Daly and Meghan Curran helped by pressing high up the field and if Holliston did manage a break then Kelly Fisher was there to clean up. Foxboro went looking for a second goal that could have put the game away and had several good chances in the game’s closing moments. Dicenso had the best look but her shot in the 54th minute was kicked aside. Fisher had a shot off a corner that was blocked into the path of Luciano but again the shot was saved. According to Bordieri, physical games that come down to the wire are nothing new to the Warriors thanks in large part to the difficult league schedule that the Davenport division champions play. The Warriors (17-2-1) will now face Cohasset in the next round of the tournament with a possible final to follow. Bordieri is confident her team will not be looking ahead to far and is focused on the task at hand.